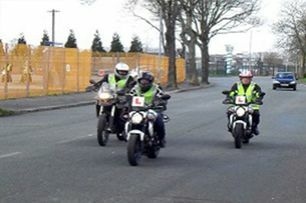 MSM Motorcycle Training - Ride Safely For Life! 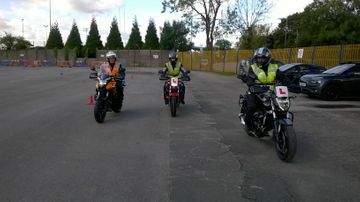 Welcome To M.S.M Motorcycle Training where we are committed to making Motorcycle Training fun and informative but above all we aim to make all our students into safe motorcyclists for life. Learn the skills, experience the thrills. Your instructors will be both knowledgeable and friendly making learning enjoyable and rewarding. Our years of experience and passion for training help you to become a careful and confident rider. Give us a call to book your lesson and find out for yourself. 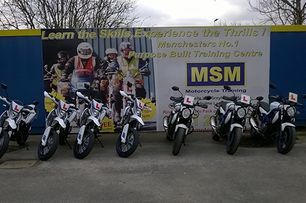 We are based in Belle Vue Stadium, Manchester and offer quality Motorcycle Training at competitive prices. We cover the whole of the Greater Manchester, Tameside, Stockport and Trafford areas and offer a full range of training courses from Compulsory Basic Training through to Direct Access. All of our full license courses include both the Theory and Practical Tests. This Driving Standards Agency Approved Training area has been established since the 1980's. The site consists of a large off road training area with a purpose built classroom where our dedicated team of highly experienced Driving Standards Agency instructors are committed to helping every individual get the most from their training. You can hire a Moped, 125cc, 500cc, 650cc Motorcycle from us for your training, you do not need your own machine!